Larry’s philosophy used to be “you only need as much time as you have” but in retirement, he no longer holds on to this belief. We nearly missed experiencing the beauty and history of this part of the country because we ran out of 'time' last fall. Thank goodness we were flexible enough to turn the RV around and head back north from Florida to tour Virginia, Washington DC and Maryland. 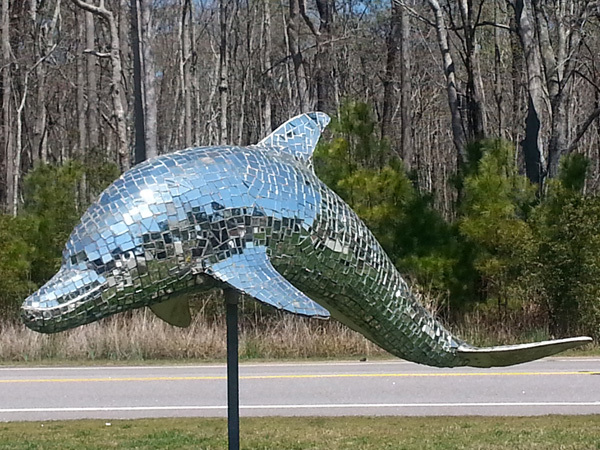 Our first stop was Virginia Beach, where we kept noticing colorful dolphins along the roadway. Later we learned that they are a part of the Dolphin’s Promise, a non-profit organization working with the city to place hundreds of life-sized dolphin sculptures throughout the city to raise money for Cancer Research. 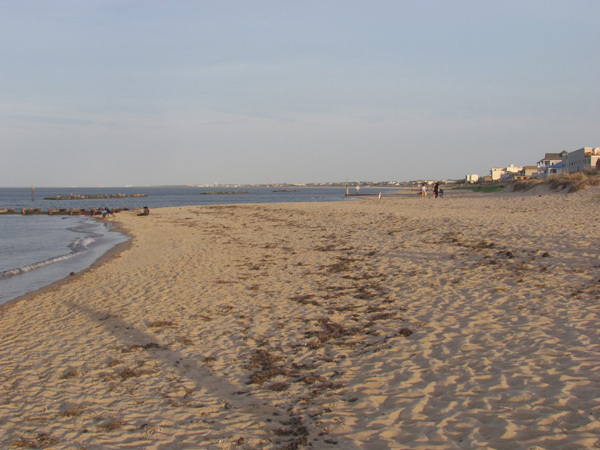 Virginia Beach is listed in the Guinness Book of Records as having the longest pleasure beach in the world. With the weather the USA experienced this winter, we found few pleasure seekers using the beach on this day. 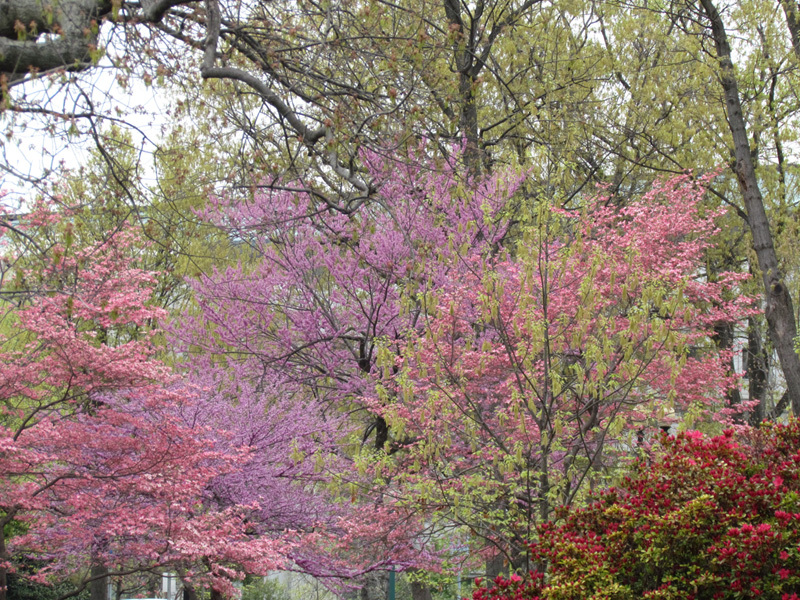 The city is the largest independent city in Virginia and the fourth largest suburban city in North America. In 1907, the World's Fair was held in Norfolk, which coincided with the 300th anniversary of the Jamestown Settlement. 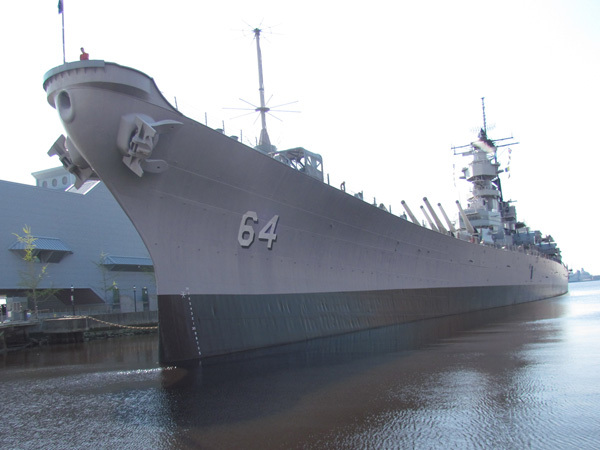 The site is now home to the Naval Station Norfolk, which is the world's largest naval station, supporting 75 ships and 134 aircraft alongside 14 piers and 11 aircraft hangars, and houses the largest concentration of U.S. Navy forces. 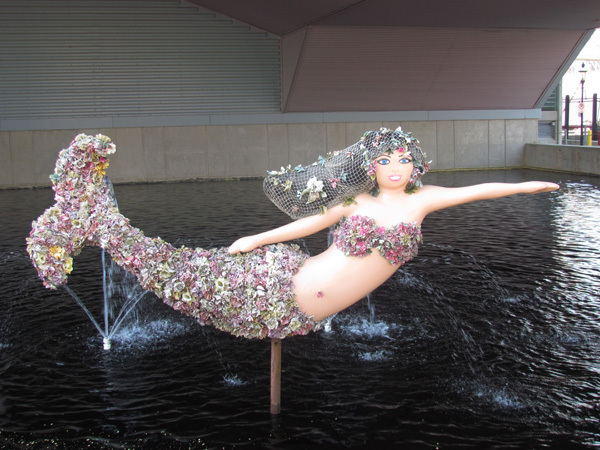 Like the Dolphin Promise project, Norfolk created the "Mermaids on Parade" as a project to raise money for the arts. It has become a tourist landmark with guides to find the dozens of four to ten foot-long mermaid sculptures in the city center. Gift shops in the area sell Parade artwork, books, jewelry and posters. 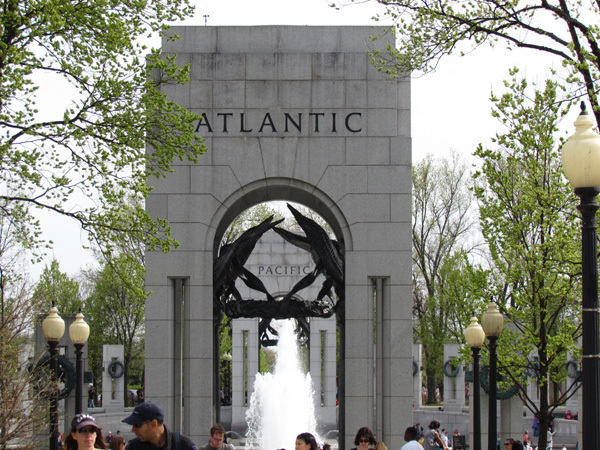 What could be more fitting than a memorial to General Douglas Macarthur in Norfolk VA. He oversaw the fighting in the Pacific during World War II, officially accepted Japan's surrender, and oversaw the occupation of Japan which brought about sweeping economic, political and social changes. His career ended when he was fired by President Truman during the Korean War for insubordination. Jamestown Settlement started as the Virginia Company of London set up by King James to create a colonial settlements in North America. It landed in 1607 and by 1612 it had discovered sweeter strains of tobacco that fueled the economy and led to further expansion in the area. In 1624, Virginia became the first Royal Colony of England. The initial Jamestown site is now an archeological dig. 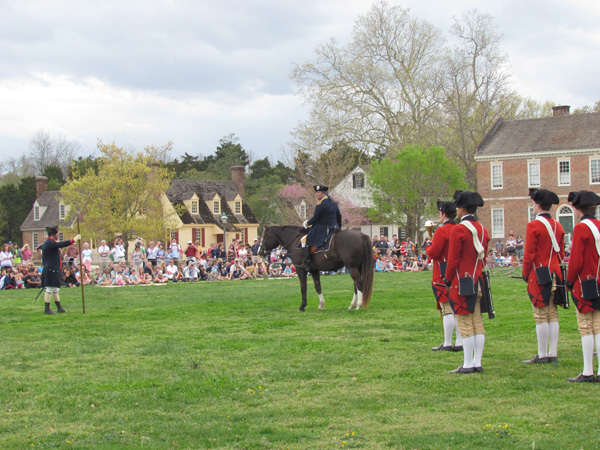 Colonial Williamsburg, named in honor of King William III, became the second capital of Virginia after the Jamestown statehouse burned in 1698. Thanks in part to John D. Rockefeller, a major restoration and re-creation of Colonial Williamsburg was done in the early 20th. Here is a reenactment of General George Washington welcoming new troops during the American Revolution. 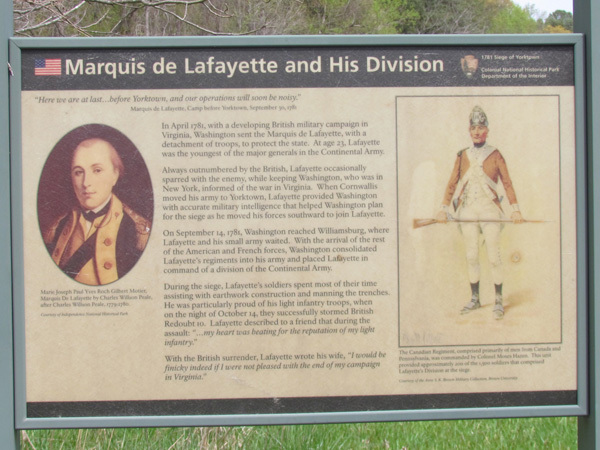 The battle of Yorktown, Virginia effectively ended the American Revolution. However, France's money, munitions, soldiers and naval forces played a significant role in this victory. French ships blockaded the British fleet from escaping by sea and there soldiers overtook one of the critical British ground positions which lead to the final siege, which forced British General Cornwallis to call a cease fire. 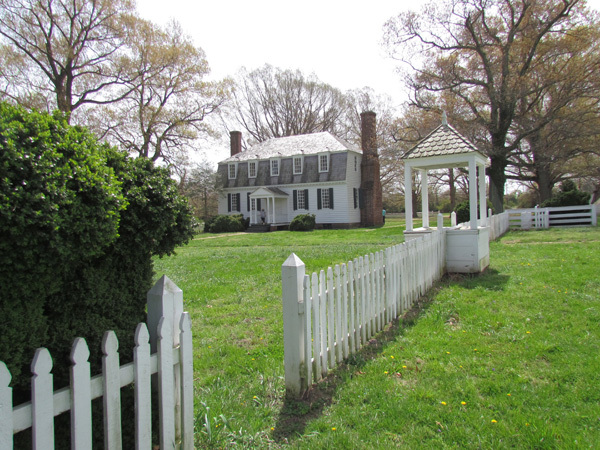 After the cease fire was called, General Cornwallis asked that this home of Augustine Moore, still standing outside of Yorktown, be used to create the terms of surrender. Two British officers met there with one American representative and one French officer to create the Articles of Capitulation. 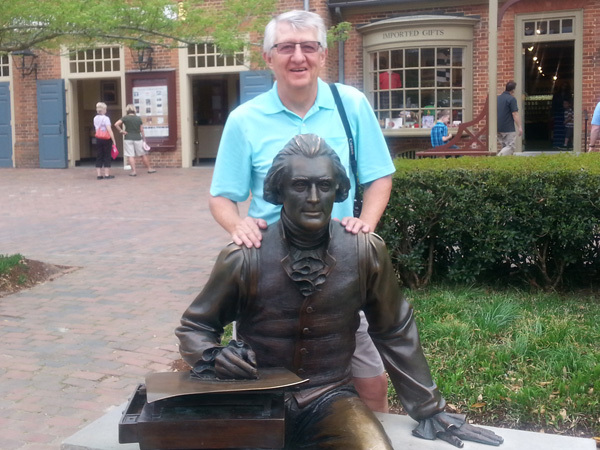 Two former presidents hanging out together on Market Square in Williamsburg! Thomas Jefferson, the principle author of the Declaration of Independence and the third President of the United States was a student at the College of William and Mary, which it across the street from us. 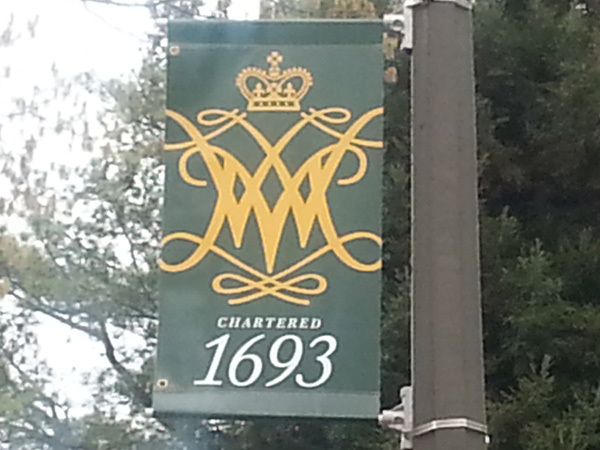 Williamsburg is the home to 8,000 students attending the College of William and Mary, named after King William and Queen Mary of England. It is the second oldest college in the U.S. after Harvard. Its alums include three U.S. presidents and 16 signers of the Declaration of Independence. Richmond is the present day capital of Virginia, but was also home to the second capital of the Confederate States of America. 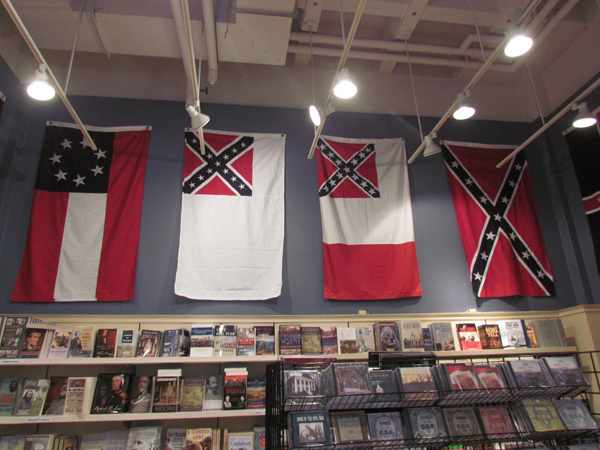 Their three story museum showcased history and memorabilia from the Confederate's view of the conflict, including the four different flags that were used during their short but costly endeavor. For a short while, America had two presidents. Both were born in Kentucky, one year and 80 miles apart. They represented two different and conflicting visions for American. 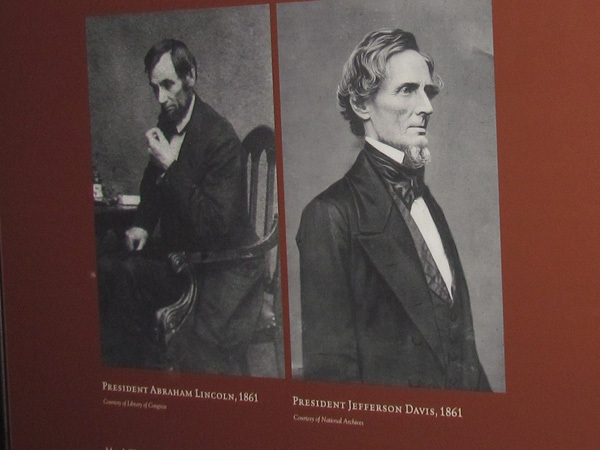 Abraham Lincoln and Jefferson Davis were both elected to office in 1861 and both left office in 1865, one by assassination and the other by surrender. 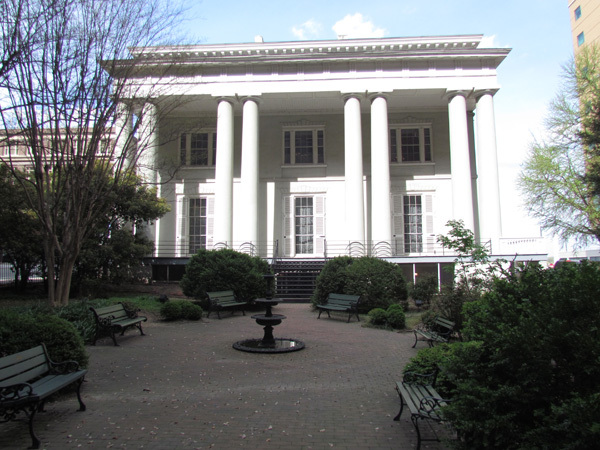 Next to the Confederate Museum is the "White House" of the Confederacy and home to President Davis, his wife and three children. This mansion has large rooms for socializing and offices where Davis met with his generals to create war plans. Both museum and White House were secured and maintained by the Daughters of the Confederacy. Keeping history alive was a general theme of our visit to Virginia and thanks to non-profit organizations, money has been raised to reconstruct, maintain and operate their mission. 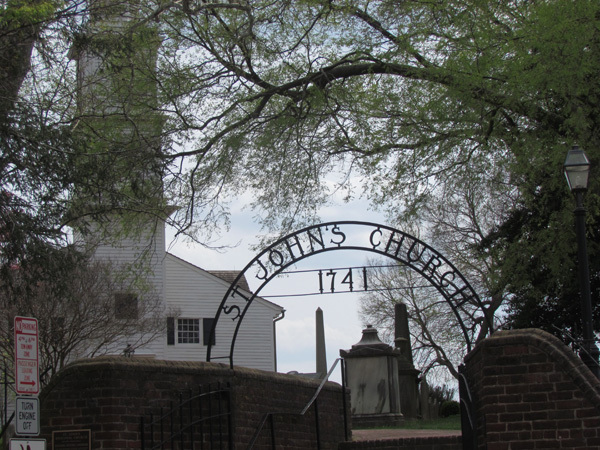 Here at St. John's Church, Patrick Henry gave his compelling "Give me liberty or give me death" speech which sparked the beginning to the American Revolution. In Washington DC, we RVed near College Park, Maryland. 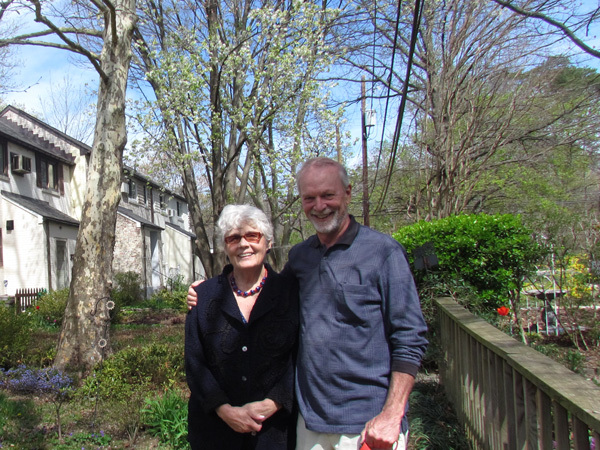 Ajijic friends Chris and Barbara Logan live next door in Greenbelt where they spend their summers. Chris facilitates an Everyday Mindfulness group in Ajijic, which Larry attends. We had Easter Sunday lunch together at a Chinese restaurant and took a hike around the town of Greenbelt. While with Chris and Barb, we learned more about Greenbelt, which was a public works project that came out of the New Deal Era. 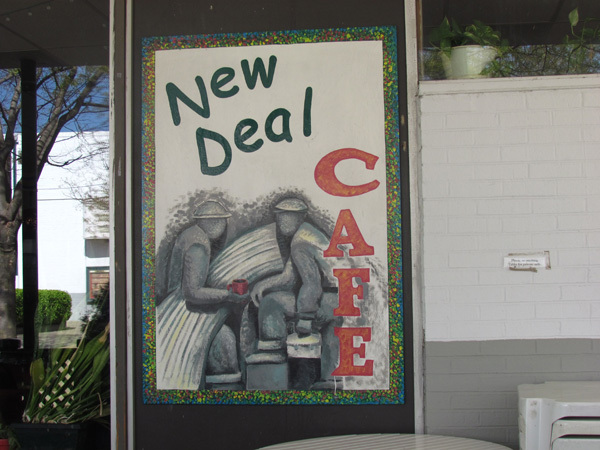 Eleanor Roosevelt help design the project which was to create an "ideal" self-sufficient cooperative community that was affordable, with lots of public spaces and residents willing to work together for the betterment of the community. They are both active here. While we were aware of George Washington's role as commander during the American Revolutionary War and our first President, we were amazed at the vast wealth he possessed. 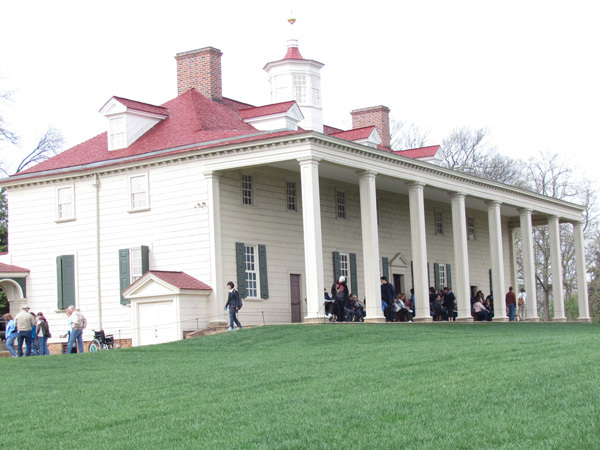 This, the Mount Vernon Estates, was one of four plantations he owned, along with the largest distillery in the country, a sizable blacksmith business and at the time of his death had 316 slaves. He was a very wealthy person. 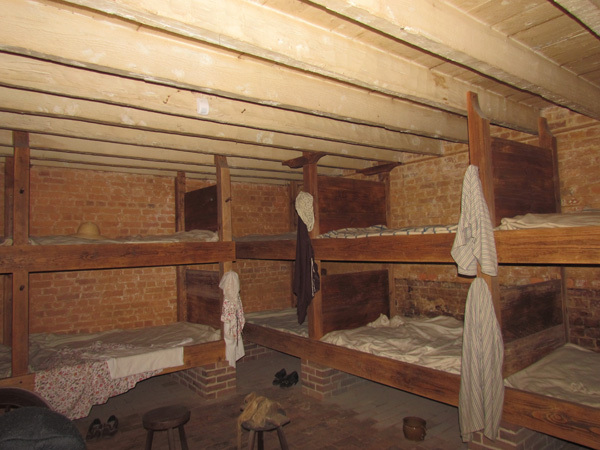 Washington's slave quarters differed vastly, with those living at Mount Vernon having better quality housing, but no privacy--three to a bed. Those on outlying farms could live together as families, but the log cabins were in terrible condition. Washington's view of slavery mellowed as he aged. In his will, he allowed some of his slaves who worked closest to him to be set free. During our grand tour of the USA and Canada, we experienced subway systems in Toronto, New York City and Washington DC and we were quite impressed with all three. 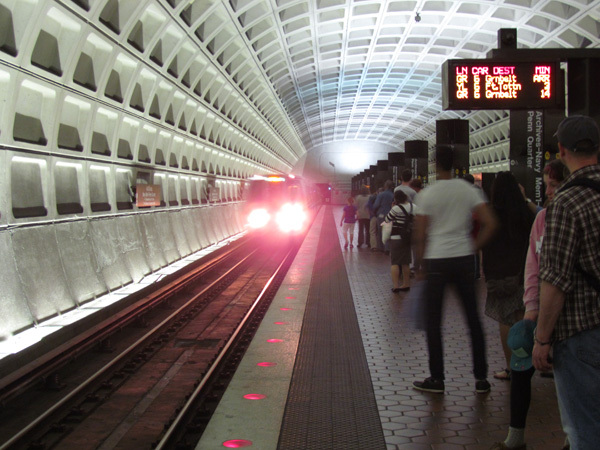 The DC metro had a station near our RV park and provided ample parking-free on weekends. We got a senior rate and were able to take our bikes on the subway, but not during rush hours. We got off the Metro at a station two blocks away from the Washington Monument which is in the background. When completed in 1885, it was the largest tower in the world (until the Eiffel Tower was built) but remains the largest stone structure. It is currently closed for reconstruction due to an earthquake in 2011. 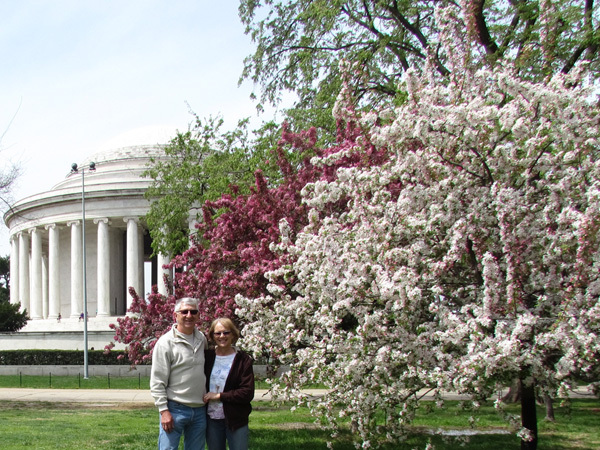 After a short bike ride from the Washington Monument, we caught site of this spectacular view of the cherry and apple blossoms with the Jefferson Memorial in the background. 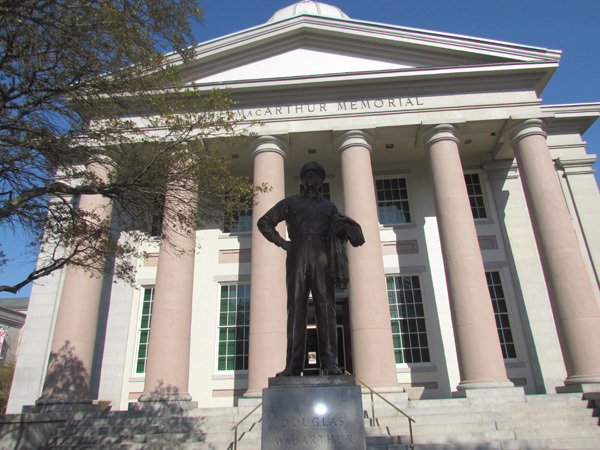 A bronze stature of Jefferson stands tall on the inside alongside some of his famous quotes engraved on the interior walls. We found the Lincoln Memorial to be the most eloquent monument in Washington DC. It sits across the National Mall opposite the US Capitol with Washington's Monument in between them. The interior has three chambers with a humble statue of him sitting in the middle chamber. 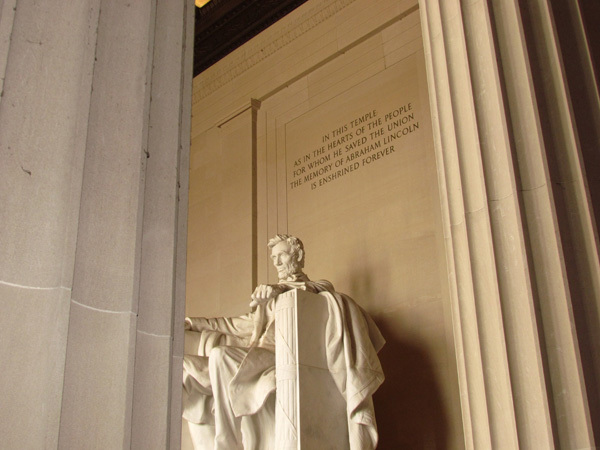 The Gettysburg Address and his Second Inaugural Address are engraved on the granite walls in the two outer chambers. 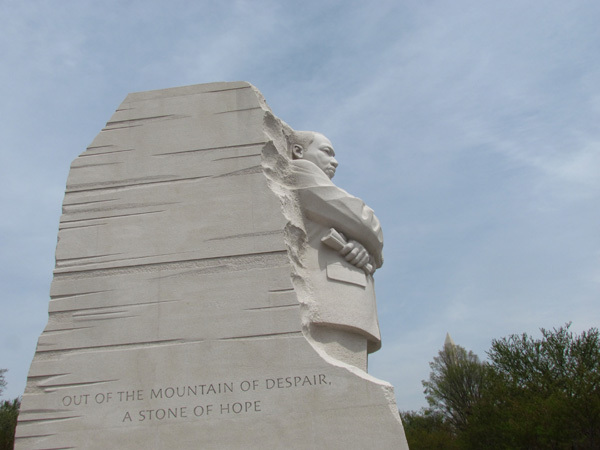 The only non-U.S. president with a memorial in the National Mall of Washington DC is Martin Luther King, Jr. It sits between the Jefferson and Lincoln Memorials. The ideals he articulated in front of the Lincoln Memorial in 1963, ignited America much like Patrick Henry's "give me liberty" speech did in 1775. In fact, it finally provided blacks with the promise made in our constitution--all men are created equal. Of all the memorials in Washington, Franklin Roosevelt's was the most unique. 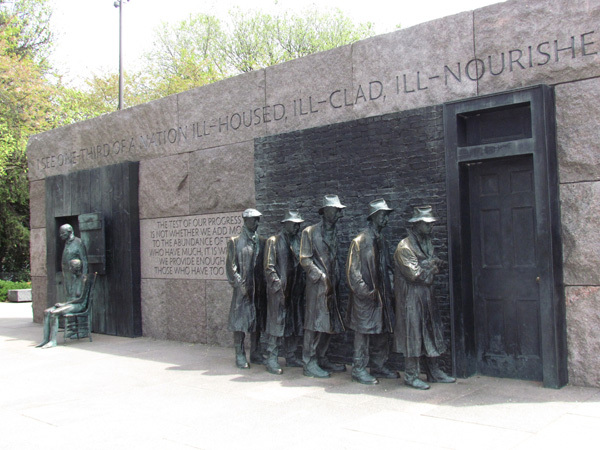 It also sits between the Jefferson and Lincoln Memorials, but is spread out into several sections, focused on his work in bringing people out of the Great Depression and includes a memorial to his wife Eleanor. These two pillars stand on either end of a giant circle commemorating the World War II Memorial. Along the circle are smaller pillars dedicated to the soldiers in every state in the Union, along with those from the Philippines, Virgin Islands and Puerto Rico who fought in the war. 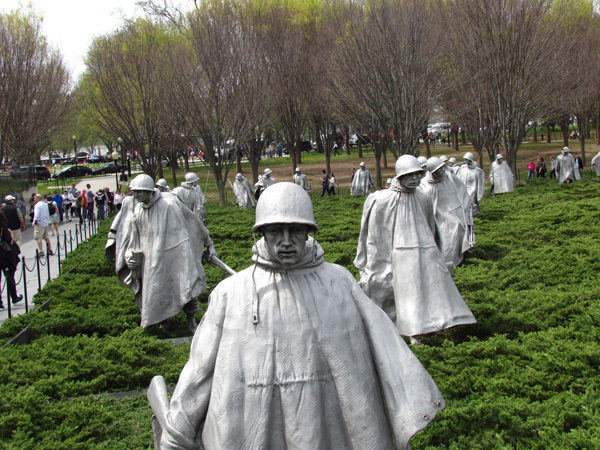 With Larry's brother Pete and Glorine brother Teddy serving in the Korean War, this memorial gave us cause to reflect on the men who served and the role they played in our nation's history. 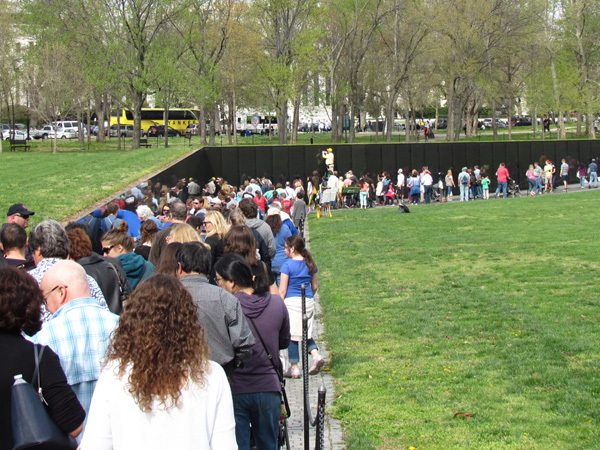 The Vietnam War Memorial hits closer to home with us coming of age at that time. Larry's ulcer gave him a physical deferment, but lots of cousins and friends served time there. Cousin Wayne Barnhardt served two tours and planned to serve a third until we asked him to be our best man. 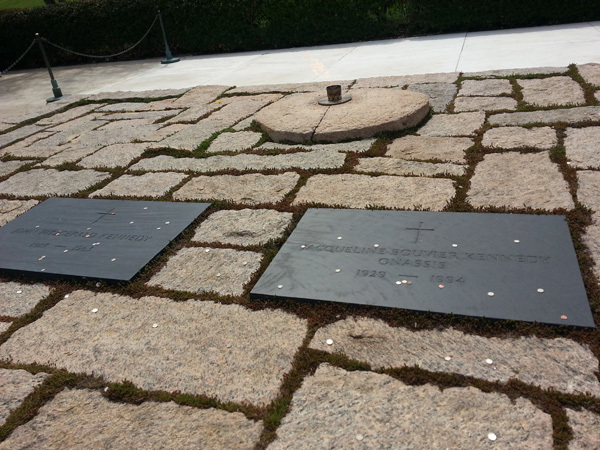 This is the gravesite of John F. Kennedy and Jacqueline Kennedy Onassis along with the Eternal Flame which was Jackie’s idea, as the official memorial for President Kennedy located in Arlington National Cemetery. The site opened to the public four years after his death in 1967. He is one of three presidents not buried in their native states. The headquarters of the Organization of American States sit next to the White House. It was formed by 21 countries in the Americas in the after math of World War II. 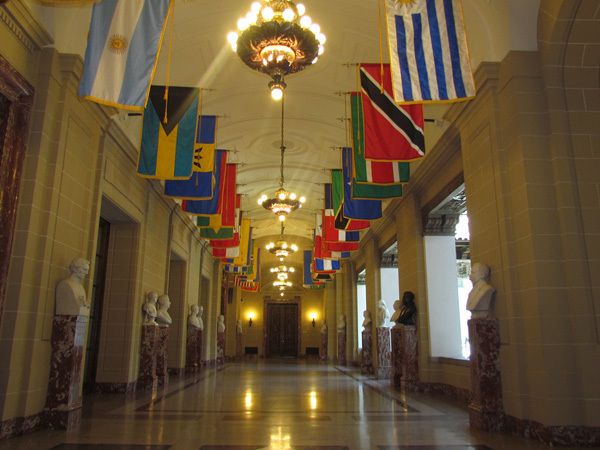 Although Canada obtained independence in its foreign policy from the United Kingdom in 1931, it only joined OAS in 1990. Cuba was recently readmitted after being ousted in 1964. 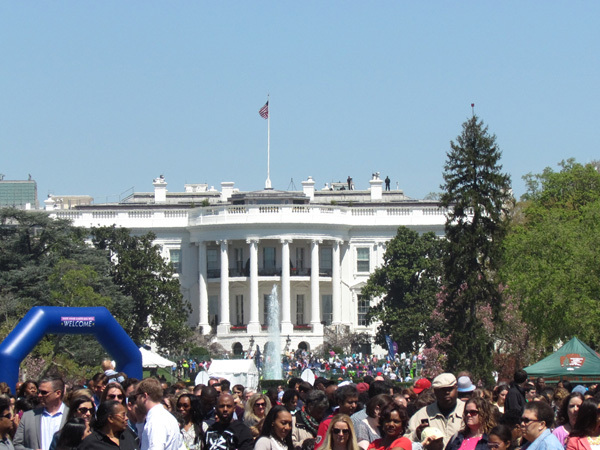 As we walked near the south lawn of the White House on Easter Monday, President Barack Obama and his wife played host to 30,000 people for the 136th annual Easter Egg Roll. The theme "Hop into Healthy, Swing into Shape" fit perfectly into Michelle Obama's fitness priorities. 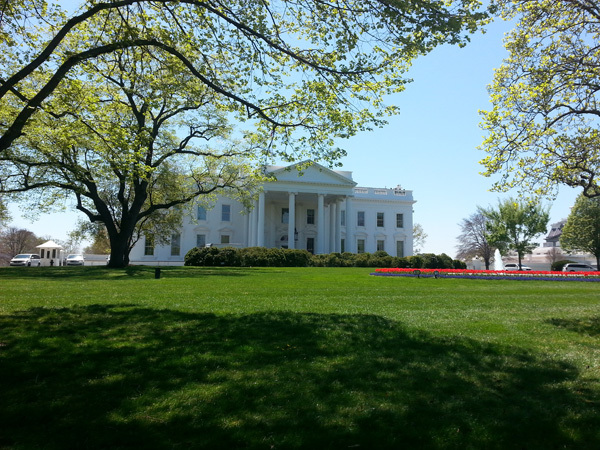 We were having a picnic lunch when we took this picture through a wrought iron fence on the north side of the White House. Other than the occasional protester (kept across the street) it was much more tranquil than the south lawn, which was overrun by kids hunting for Easter Eggs. Thanks to South Dakota Senator Tim Johnson, his intern gave us a private tour of the U.S. Capitol and the three Senate office buildings that support their role as one of the three branches of government. Each of the buildings has a cafeteria that has great food at a great price. 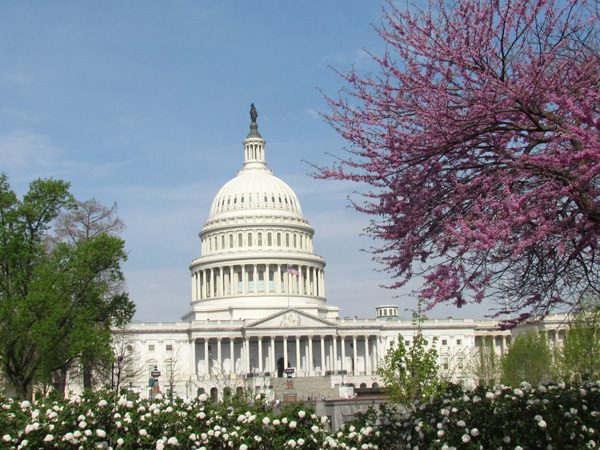 In 2008, the U.S. Capitol had a 580,000 square foot addition specifically designed as a Visitor Center. It provides a great overview of the history and role of congress, a gift shop and is surrounded with statues from each state. 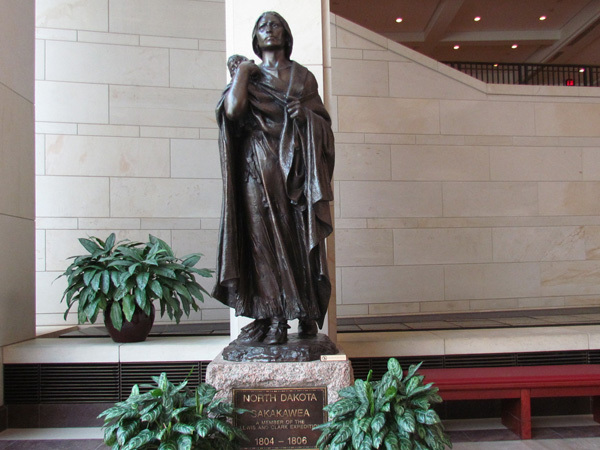 North Dakota's contribution is a life-size statue of Sakakawea. Most of the business of the Senate is done in either their private offices or rooms in the three senate office buildings. However, major committees, like the Appropriations Committee, have specific rooms in the Capitol dedicated for their purpose. 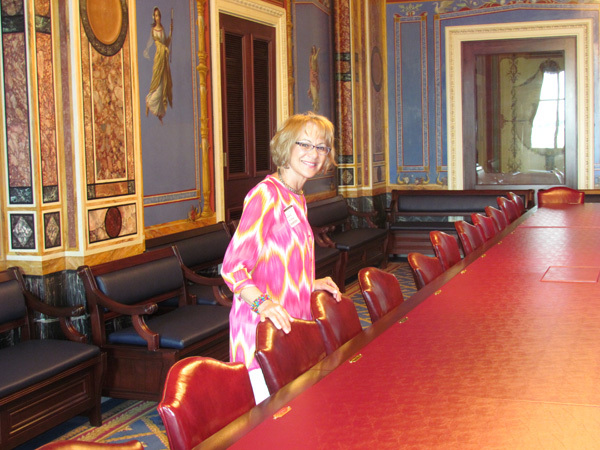 As we toured this room, Larry referred to Glorine as the chair of our appropriations! 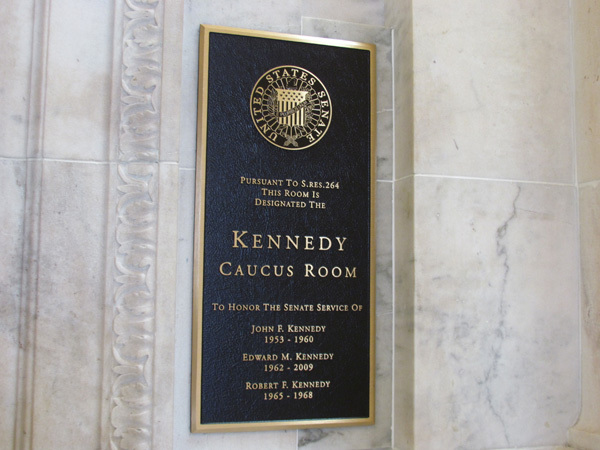 Our tour guide drew special attention to this room, which was recently renamed after the death of Senator Ted Kennedy. The room is the oldest and one of the largest senate assembly rooms. Hearings on the Sinking of the Titanic, Watergate Break-In, Iran-Contra Affair, and Supreme Court Nomination of Clarence Thomas were all held here. 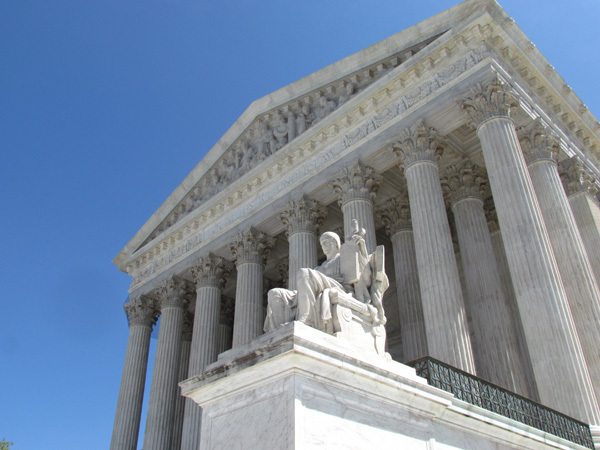 U.S. Supreme Court is the third branch of the government, but it took a long time to find a permanent home. It first met in New York City, then in Philadelphia, and several moves in Washington after it became our Nation's Capital. 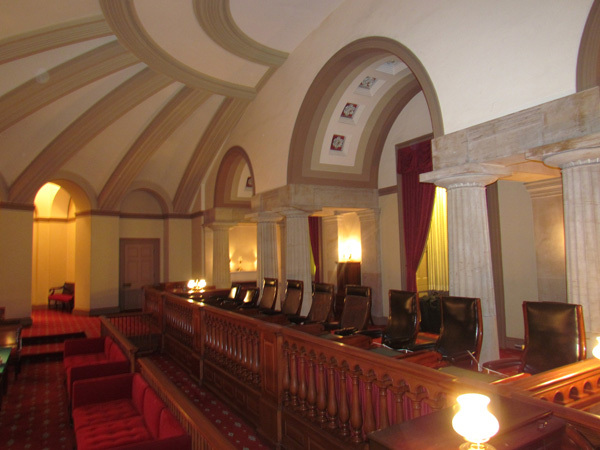 In 1860 the Old Senate Chambers became there long-term home. 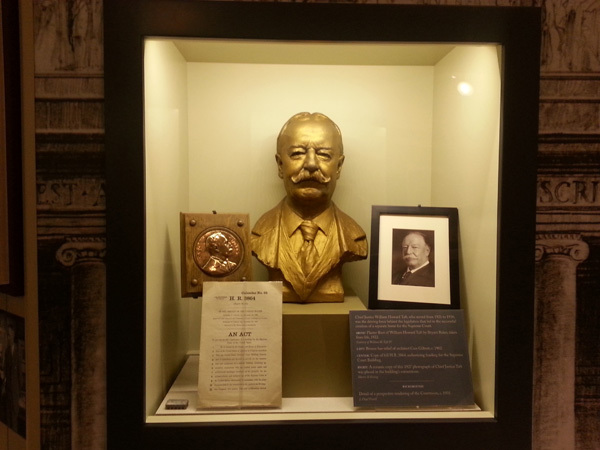 William Howard Taft was the only person to have served as a U.S. President and a member of the US Supreme Court. During his tenure as Chief Justice, he promoted the construction of a new and separate building for the Supreme Court, which was passed by congress in 1929. Unlike their room in the Old Senate Chambers, where a justice could reach out and touch the lawyer making an argument for or against something, the new Supreme Court Building is massive. The architect designed it "in keeping with the importance and dignity of the Court and the Judiciary as a coequal, independent branch of the United States Government, in size and appearance." They did! 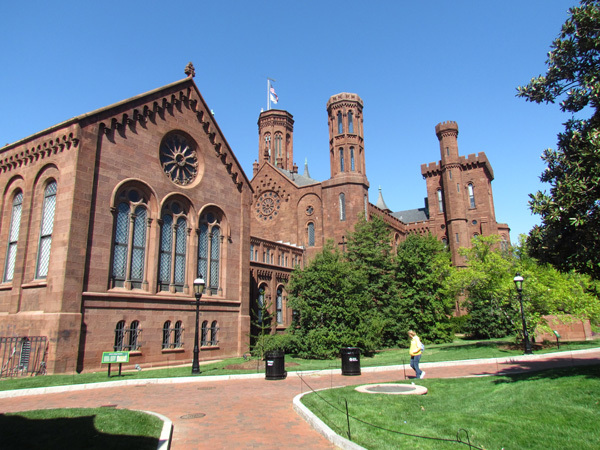 This castle on the National Mall represents a gift of $500,000 from the British scientist James Smithson, who died in 1829. His wish was for the United States to create “under the name of the Smithsonian Institution, an establishment for the increase and diffusion of knowledge among men." It is now the world’s largest museum and research complex, with 19 museums, the National Zoo, and nine research facilities. 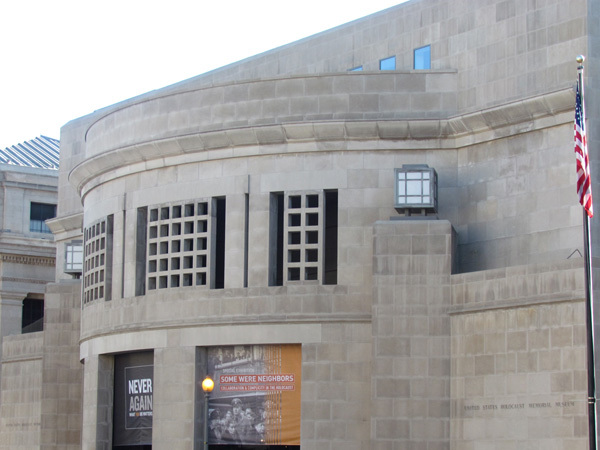 Thanks to the work of President Jimmy Carter, the United States Holocaust Memorial Museum has a prominent site on two acres near the Washington Monument. It is one of 45 organizations, museums and monuments throughout the U.S. to serve as memorials to the Holocaust and its millions of victims. This is one of the few museums near the National Mall not affiliated with the Smithsonian Institution. 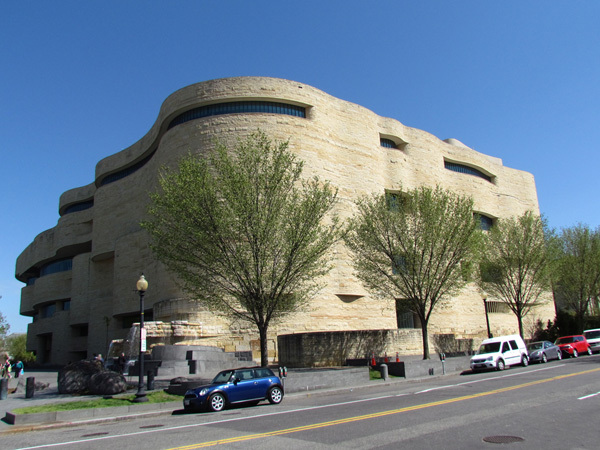 The Smithsonian’s National Museum of the American Indian was built on over 4 acres in the Washington Mall and opened in 2004. It is dedicated to the life, languages, literature, history, and arts of the Native Americans of the Western Hemisphere. The Museum building was awarded a "certified green building” in keeping with the traditional indigenous values such as stewardship and conservation. The Smithsonian's National Museum of American History covers such a vast and diverse collection of our culture and history. 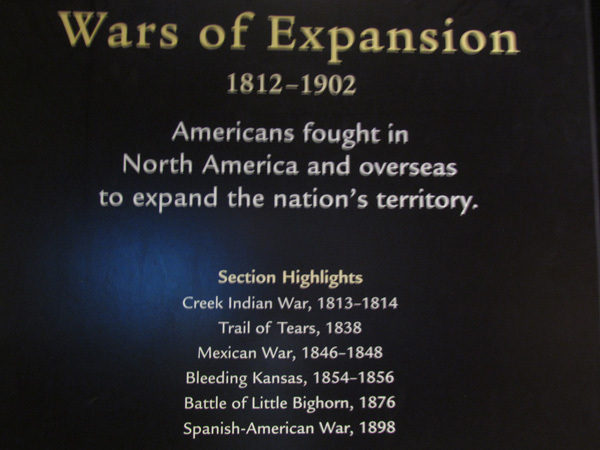 Wars were and still are a big part of our history, from the American Revolution, War of 1812, Civil War and to what the museum listed as the Wars of Expansion. Some historian referred to these as wars of imperialism! American ingenuity is on display throughout the History Museum. 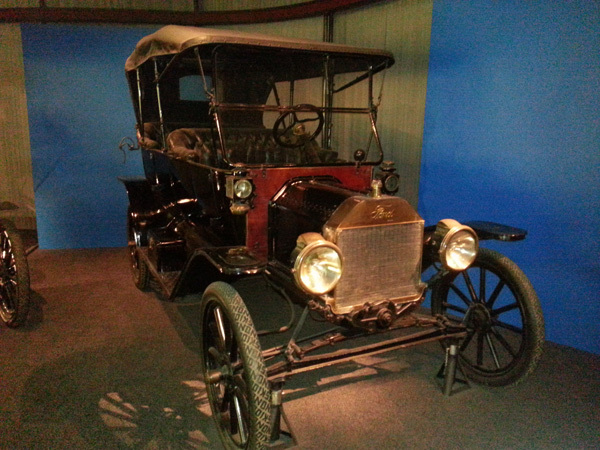 Ford's Model T was just one. It revolutionized transportation and introduced mass production to America and the world. The car remained virtually unchanged for nearly two decades, however, you could get it in any color you like as long as it was black. What would an American History Museum be without a section on pop culture. Miss Piggy was prominently on display. 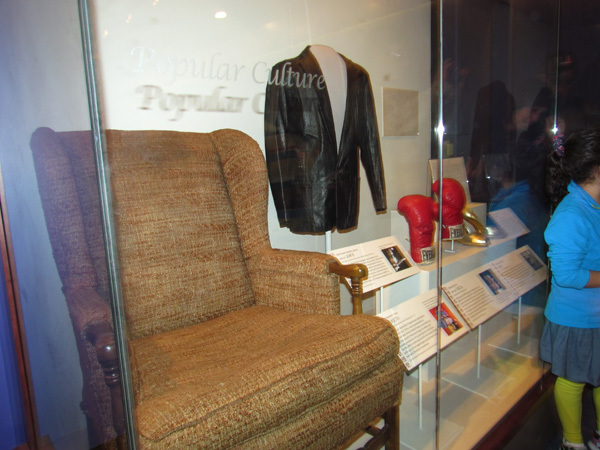 In this showcase are Archie Bunker's chair, Bobby Dillon's leather jacket and Mohammad Ali's boxing gloves. This was one of the more amusing parts of the museum. 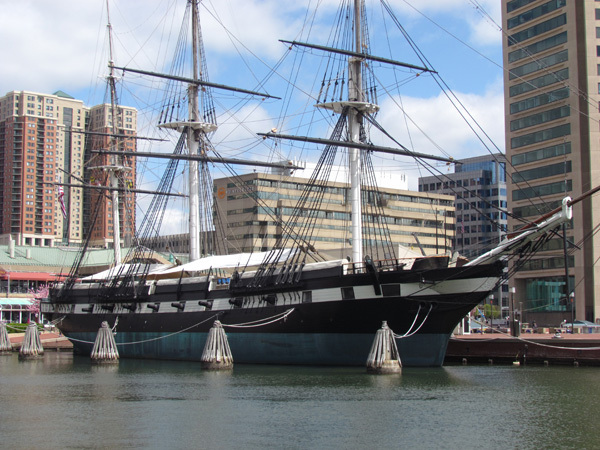 The Inner Harbor and the many historic ship of Baltimore were specular. 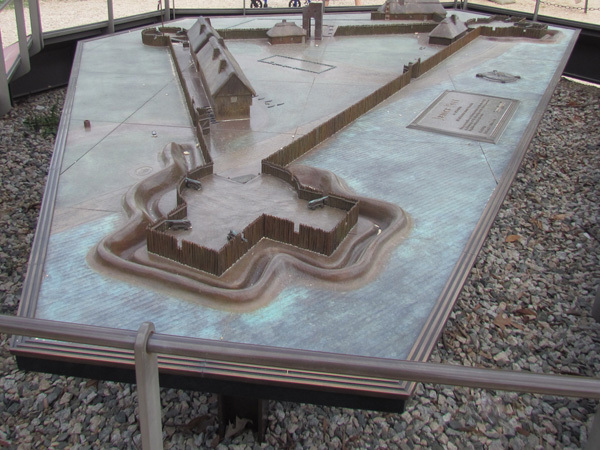 Fort McHenry sits on the tip of the harbor and is where the US had a decisive victory in the War of 1812. It inspired a poem by Francis Scott Key, the words of which became the lyrics to Star-Spangled Banner. 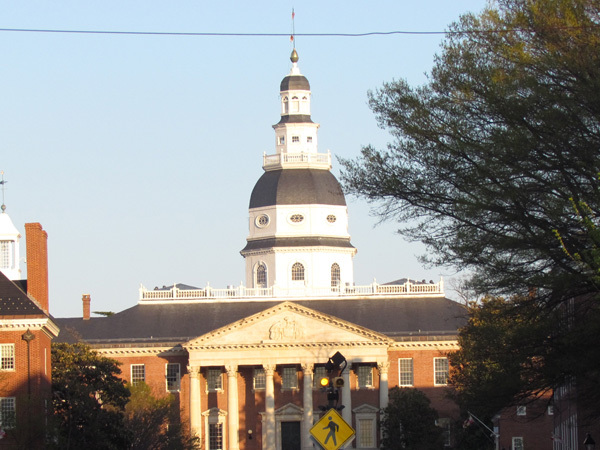 Annapolis is home to the oldest state capitol still in continuous legislative use and the only statehouse to serve as our Nation’s Capitol. The Continental Congress met here twice; George Washington resigned as commander-in-chief of the Continental Army; and the Treaty of Paris was ratified, marking the official end of the Revolutionary War. Annapolis showed us two distinct worlds. In the background is America’s First Yacht Club established in 1649. 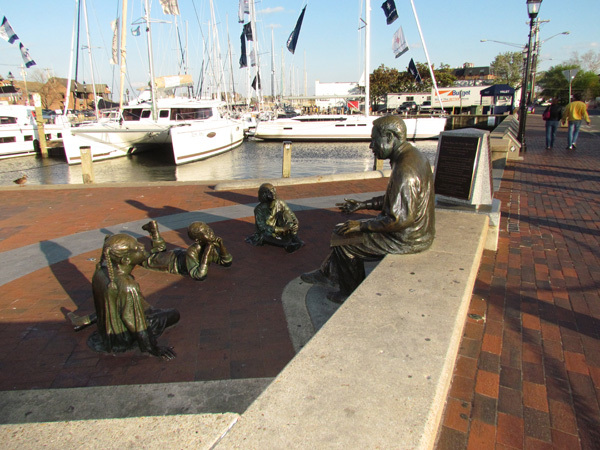 In the foreground are statues of Alex Haley (author of Roots) telling children the story of Kunta Kinte, his seventh generation grandfather who was brought here from Africa and sold as a slave in a nearby pub in 1767. 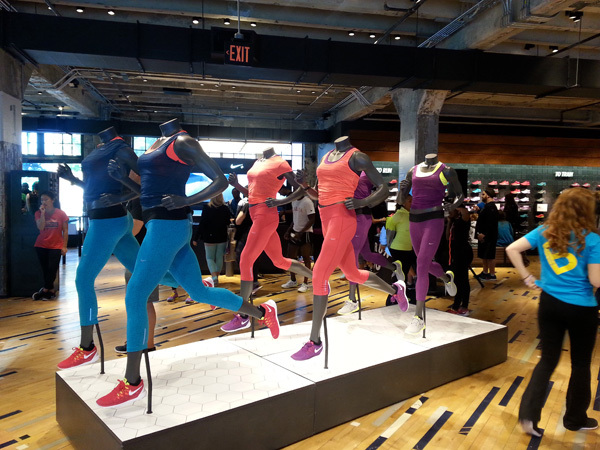 While walking along M Street in Georgetown’s trendy shopping area, we came upon a NIKE store, who was sponsoring an upcoming women’s half marathon through the streets of Washington on the following Sunday. The area was filled with tents, Champaign, and other social events to celebrate the occasion. 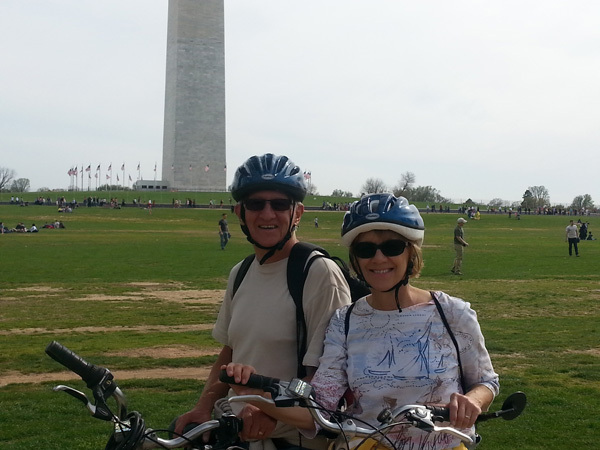 Before we bid farewell to Washington, DC, we rode our bikes to the Georgetown waterfront. As we ate dinner, we had a great view overlooking the Potomac River. 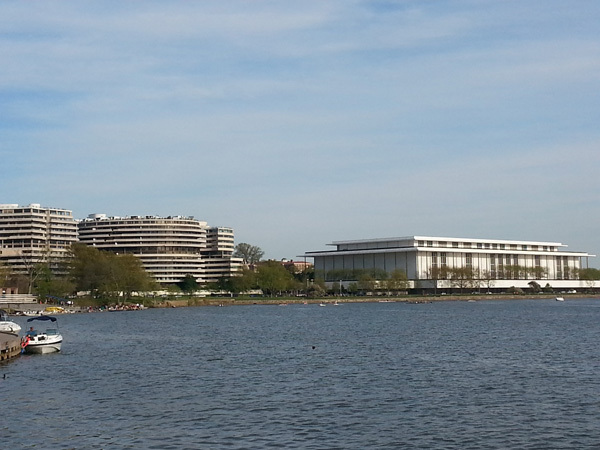 We took this picture representing two former presidents--the Kennedy Center for the Performing Arts on the right and Watergate Hotel, which lead to President Nixon’s downfall. 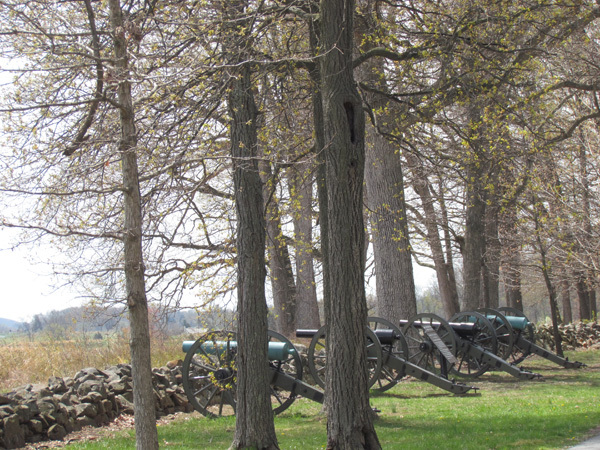 Our last stop was Gettysburg, PA. 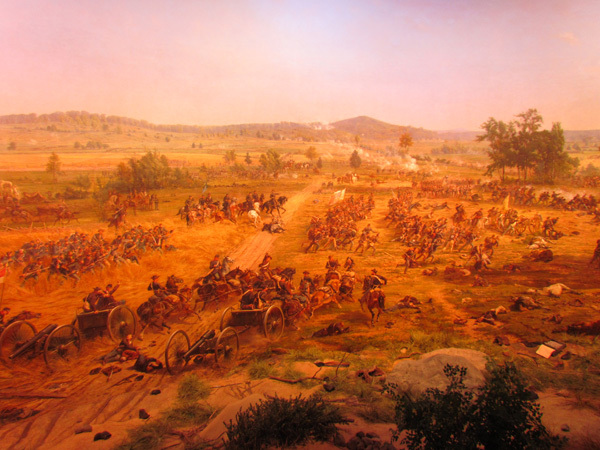 This is a panoramic painting of the final day of the three-day battle of Gettysburg done on the inside of a cylindrical platform. It took one and one-half years to paint and was completed in 1883. It is 377' long and 42' high. It was purchased by the National Park Service and has been on display at the National Gettysburg Military Park since 1962. On a 25 mile auto tour of the battlefields of Gettysburg we saw at least one hundred monuments, canons, and other battleground artifacts dedicated as memorials to the 51,000 Union and Confederate soldiers that lost their lives in the bloodiest and northern most battle of the Civil War. While the war lasted two more years, the Union win here which was said to be the turning point of the war.